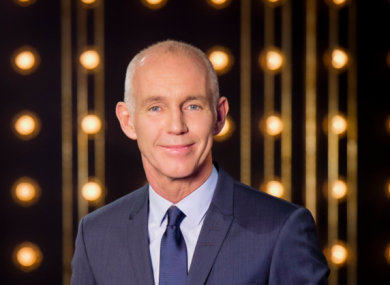 A COMPLAINT AGAINST RTÉ’s The Ray D’Arcy Show over an interview dealing with abortion has been mostly upheld by the Broadcasting Authority of Ireland (BAI). The complaint had to do with an interview D’Arcy had with the creator of Father Ted Graham Linehan and his wife Helen over their experience of abortion on 19 October of last year. The interview had to do with their foetus being diagnosed with a fatal foetal abnormality when it was at 12 weeks and the couple had decided to have an abortion. They were residing in England at the time. Both Linehans had outlined their story in a video promoting an Amnesty International campaign to decriminalise abortion in Ireland. A complaint lodged with the BAI stated that the segment had been an “attack on the Eighth Amendment” of the Irish Constitution. The Eighth Amendment of the constitution grants the equal right to life of the mother and the unborn child. The complainant argued that the presenter (D’Arcy) did not properly challenge the positions of the guests and “seemed to be largely in agreement with them”. [The complainant] states that the interviews were soft in their approach and largely supportive of the views of the interviewees. The complainant asks why no balancing views were allowed and if ‘pro-life’ figures are on air, will they be treated to equally soft interviews? In response to the complaint, RTÉ said that the interview was a human interest segment and the focus was the personal trauma endured by the couple. The broadcaster also said that it had canvassed for a received separate statements from the Pro-Life Campaign as well as Every Life Counts which were read out during the interview. However, the BAI found that it did not agree with the characterisation of the interview as predominantly human interest in nature. It noted that the video had been created by the Linehans in support of a campaign to change the Irish Constitution and that this was evident from the comments by both D’Arcy and the Linehans. The BAI also found that although the personal experiences of the Linehans had made up a significant part of the interview, these experiences were used to “encourage support for the Amnesty International campaign” to repeal the Eighth Amendment of the Constitution. As the interview was being used to promote a campaign to change the Irish Constitution, it needed to be more impartial and be more balanced, the BAI said. It also said that the comments received from anti-abortion groups by the programme were only “cursory” and did not constitute enough balance. The complaint was issued on three sub-sections of the BAl Code of Fairness, Objectivity and Impartiality in News and Current Affairs. The BAI upheld it on grounds of Section 4.1 and 4.3 of the code – to do with fairness and impartiality. However, it rejected the complaint on the grounds that the presenter acted in a manner that amounted to the advocating of a partisan view. Email “Ray D’Arcy interview with Graham Linehan and wife over abortion broke broadcasting rules ”. Feedback on “Ray D’Arcy interview with Graham Linehan and wife over abortion broke broadcasting rules ”.